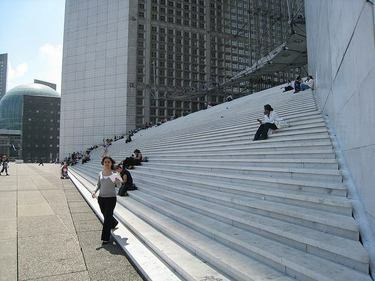 La Grand Arche de la Defense is found in the business district of La Defense in the commune of Puteaux, just west of Paris. 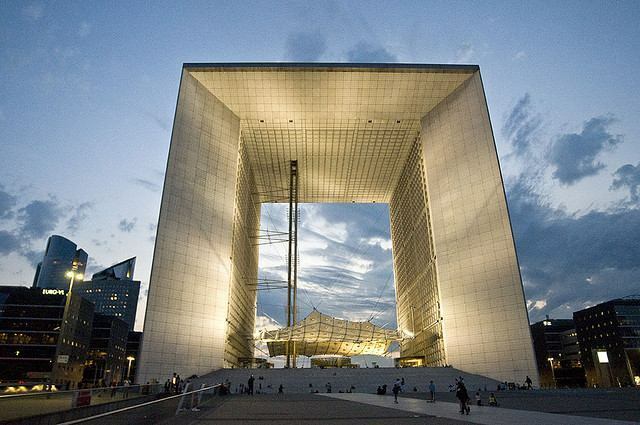 It is also called the Grand Arche de la Fraternite or simply as La Grand Arche. 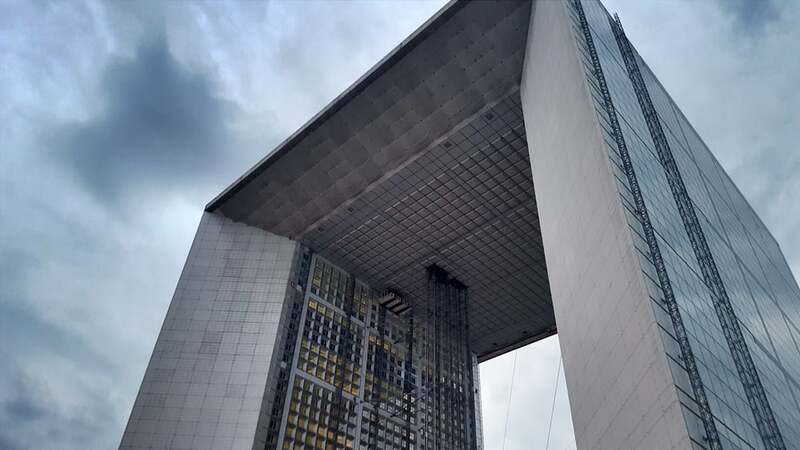 The Grande Arche de la Défense or simply Grand Arch is designed as a modern version of the Arc de Triomphe, only dedicated to humanity and humanitarian ideals rather than the military victories the Arc de Triomphe represents. 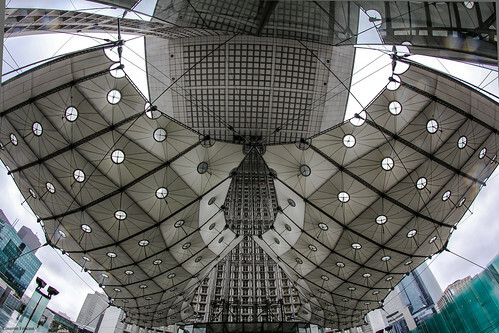 It was designed by a Danish architect, Johann Otto von Spreckelsen, and a Danish engineer, Erik Reitzel. All architectural responsibilities were awarded to Paul Andreu when Spreckelsen resigned in 1986. 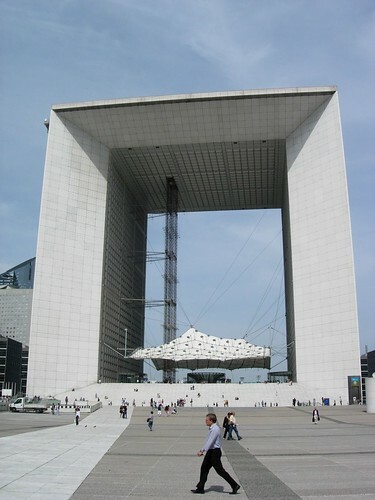 The Grande Arche de la Défense does not stand on its own. 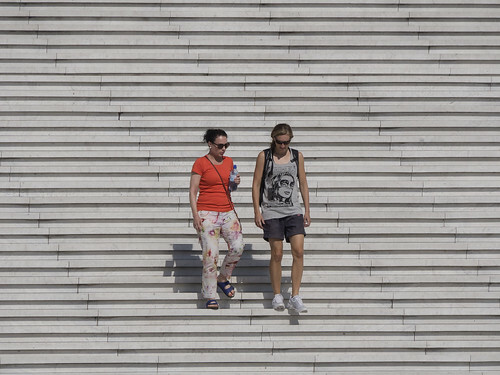 It is the end of a line of monuments that runs through Paris known as the Axe historique. It also forms a secondary line with the Eiffel Tower and the Tour Montparnasse, the two highest buildings in Paris. It is approximately a cube with a width of 108m, a height of 110m and a depth of 112m — a massive structure when seen up close. It is angled at 6.33 degrees, an angle that is similar to the angle of the Louvre which forms the other end of the Axe historique. This angle was made necessary as a result of the various public transport systems that run below it. It was the only way that an adequate foundation could be laid. 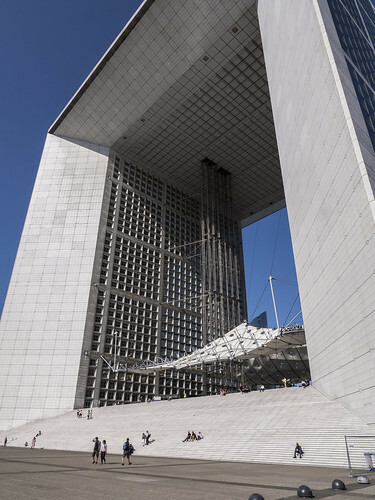 The Grand Arche de la Defense is made from a pre-stressed concrete frame that has been covered in glass and Carrara marble. 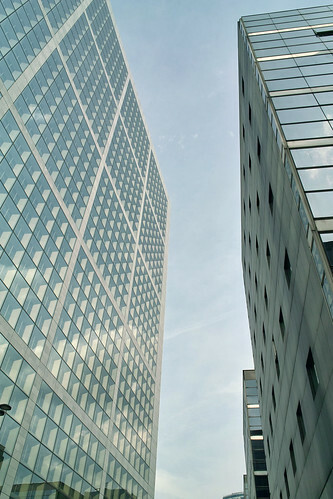 The Grand Arche de la Defense is not only a tourist attraction. It additionally houses some government offices on two of its sides. 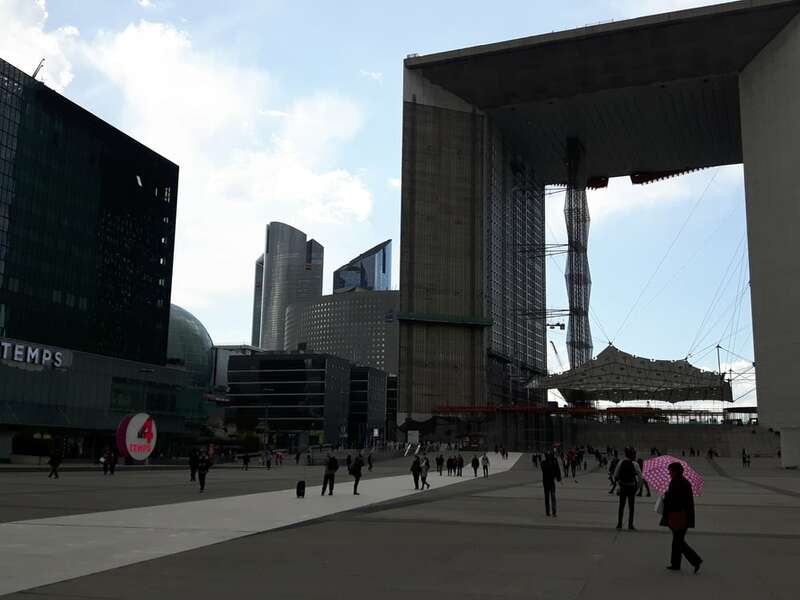 It is worth noting that it is possible to see the Arc de Triomphe from the Grand Arche de la Defense on a clear day. This is definitely a sight worth seeing if you have the time. You will not be able to access the roof however since access was closed to the public following an accident in the elevators to the roof in April 2010. 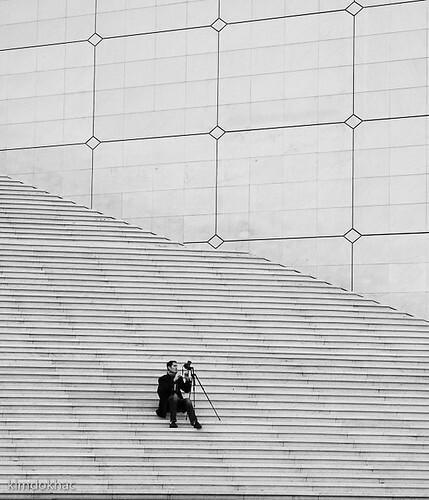 Despite this, the Grand Arche de la Defense is definitely worth taking a look at. 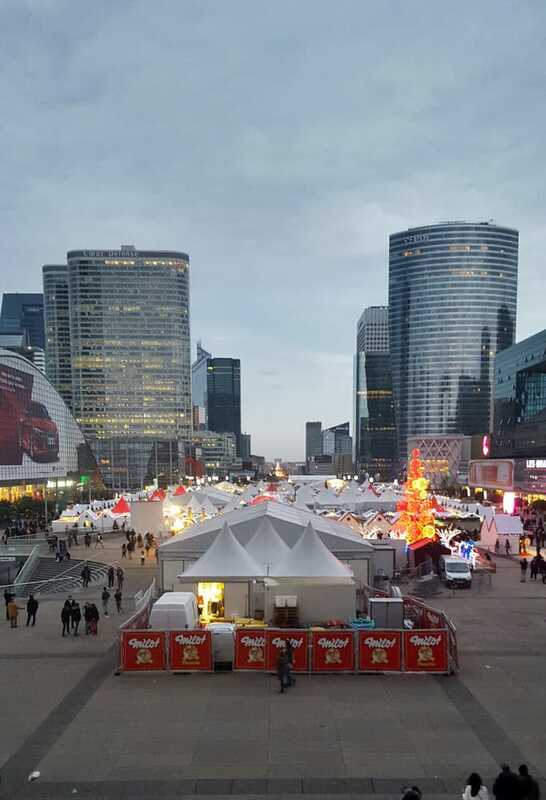 By Metro, RER-A or Tram: exit at La Défense Station and you are there.